This book is suitable for children but it can be a great tool for anyone willing to learn Spanish, adults included. Children will definitely enjoy it, as it features a Spanish girl, Valeria, who has an invisible elf friend called Luciano, who has to search for a lost cat in the city of New York. You will find many daily-life situations in its pages which will help you learn useful vocabulary you will need if you visit Spanish-speaking countries. Evelyn, the author, discussed the possible characters and plots with her own daughter in order to find out what kind of book would be interesting enough for schoolchildren learning Spanish. She wanted to tailor this reader so that it would be a pleasant read for all ages, but especially for kids who don't like the typical language book situations, which can end up being too boring and repetitive and are mostly aimed at an adult public. The stories were designed with a beginner's knowledge of vocabulary and grammar in mind, in a way that makes them easy enough for someone who is starting out, without being too easy. 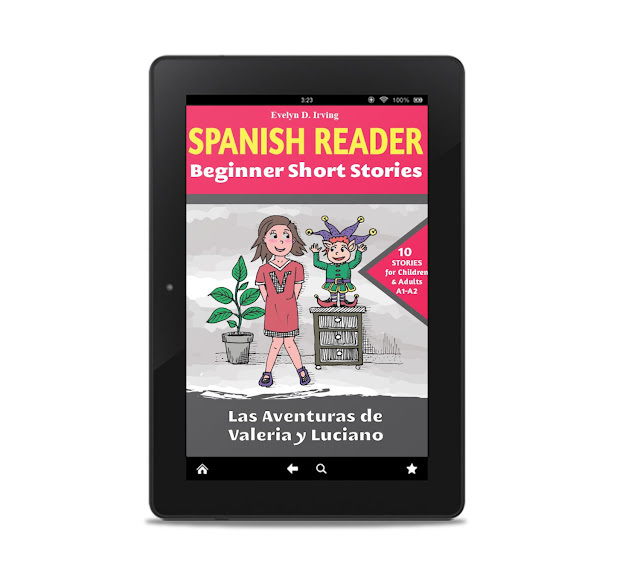 Even intermediate readers will be able to make use of this Valeria y Luciano little adventure. There is a vocabulary list and useful expressions in each chapter. If you are intrigued, don’t hesitate to look at thebook page on Amazon, where you will be able to use to “look inside” feature in order to discover more about this useful little book. You can even download a sample to your kindle if you own one. If your little ones loved Evelyn D. Irving’s BilingualCheerful Unicorn Coloring Book, they will definitely enjoy Valeria and Luciano’s adventures this time. And even if you are not in school anymore but you want to refresh your knowledge of Spanish this is going to be an interesting read for you. 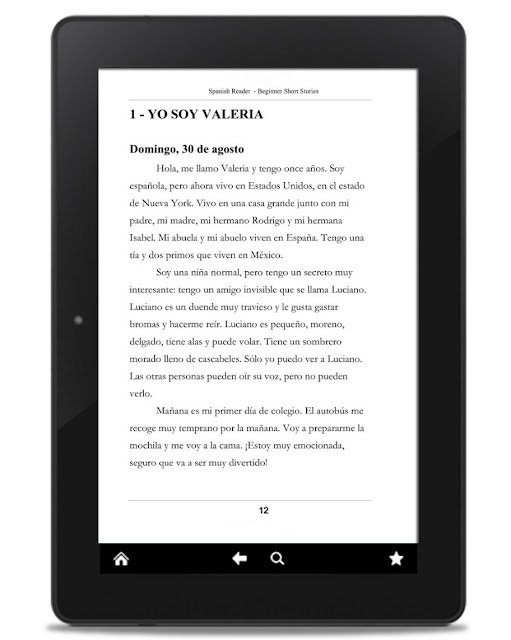 The publisher has made an effort in order to get both editions, ebook and paperback, to be as economically priced as possible.